Sometimes animal and bird names make complete sense. For example, red-headed woodpeckers have very red heads. In other cases you have to wonder what someone was thinking when they named that bird. 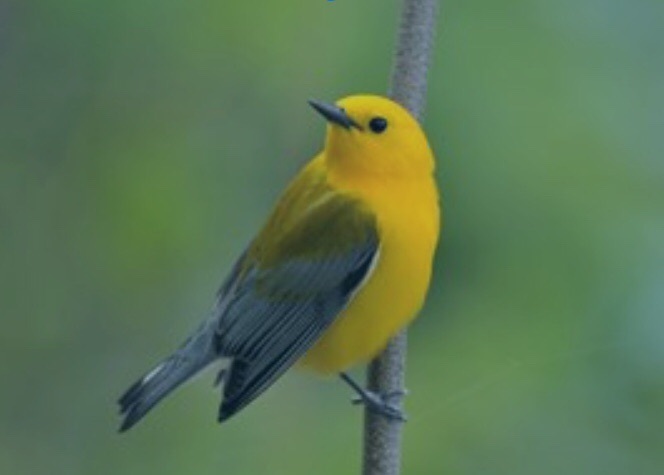 One of the best examples we have here at Black Bayou is a Prothonotary Warbler. People more commonly call them swamp warblers or, since these small birds are bright yellow, swamp canaries. For those of you who are curious, a prothonotary refers to an official in the Catholic Church who wore a bright yellow hood. There’s a random fact for you trivia buffs. More importantly for us though is that Louisiana supports approximately 25% of the entire world population of these little birds. Their numbers have been declining due to the loss of habitat. They don’t spend all their life here – they come back in the spring, spend the summer here, and then head back south for the winter. Last year they tracked the first Louisiana prothonotary warbler on his migration, and he traveled over 5,000 miles and visited 7 countries before returning here to the state. A pretty amazing journey for such a small bird! This Saturday, April 4th, Black Bayou Lake NWR will be co-hosting a workshop with Louisiana Audubon on these birds. We will be making nesting boxes for them that you can bring home with you. Even if you don’t have these birds, other small birds like chickadees may use them. You will also have a chance to learn more about them and we will take a walk and hopefully spot some or at least hear them call. They have their own ideas so we never guarantee that. The workshop will be from 9 – noon and is free. It’s a busy day at Black Bayou. The Friends of Black Bayou will be hosting an open house from noon-4 and 7:00 PM we will be having a full moon walk/scavenger hunt. Come on out and enjoy nature! For questions you can call 387-1114. Nova is the Education Specialist and Refuge Ranger at the Black Bayou Lake NWR in Monroe, LA. 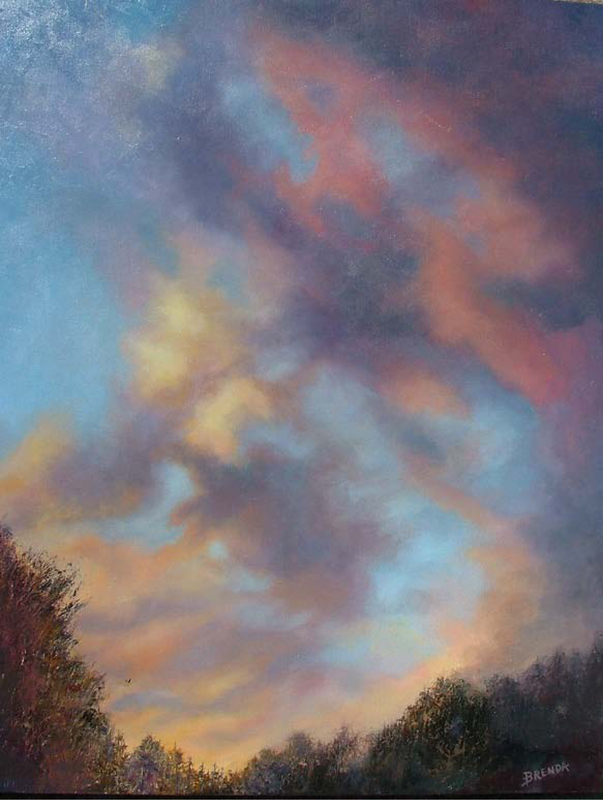 Artist Brenda McDaniel of Monroe, LA is the featured artist for March at the Ouachita River Art Gallery on Trenton St. (Antique Alley) in West Monroe. Brenda specializes in representational paintings of people, animals, places and objects, with side trips into fantasy and imagination. A native of Mer Rouge, LA who traveled over much of the world complements of a military husband, Brenda gained knowledge that is reflected in her wide range of interest and subjects. Besides independent studies, private lessons and attending several universities around the country she considers herself primarily a self-taught artist. Before deciding to paint full time she was a commercial artist employed in the advertising field where she received numerous local and national awards. Brenda has commissions of homes, portraits of people and pets, landscapes and still lifes hanging in private and corporate collections in the U.S.A., Europe, and The United Kingdom. Brenda helped organize and open the Ouachita River Art Gallery, which is now the oldest, and possibly largest, co-op art gallery in the state. The gallery is open to the public free of charge Tuesday through Saturday from 10 AM to 5 PM. A large and varied membership offers paintings in all media, jewelry, photos, woodworks and pottery. Purchases of original art are tax free.